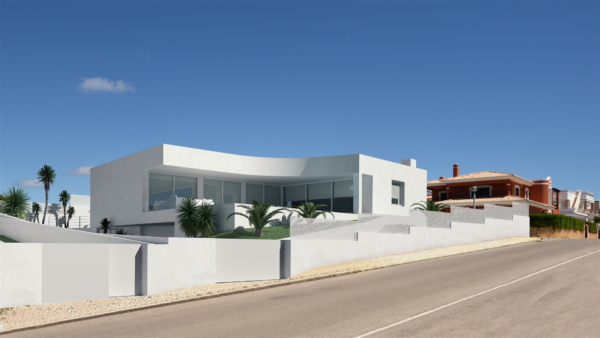 Beautiful and modern 3 – 4 bedroom villa, situated in a very quiet area of Porto de Mós, only a short walk from the beach, restaurants and just a few minutes’ drive from the city-centre, Marina and other beaches. 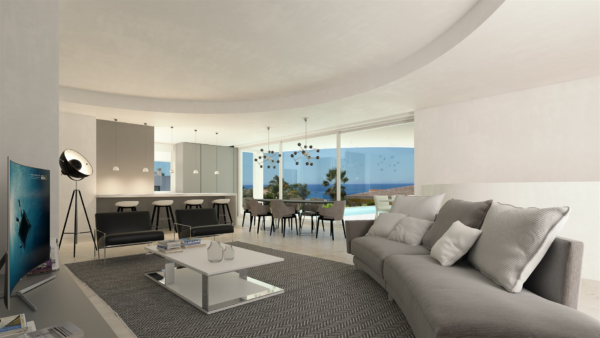 The property will have panoramic sea views that stretch to Sagres and beyond from its huge south and west facing terraces. It will have a full size, almost fameless, glazing for its door and windows to ensure the views are not compromised unnecessarily. 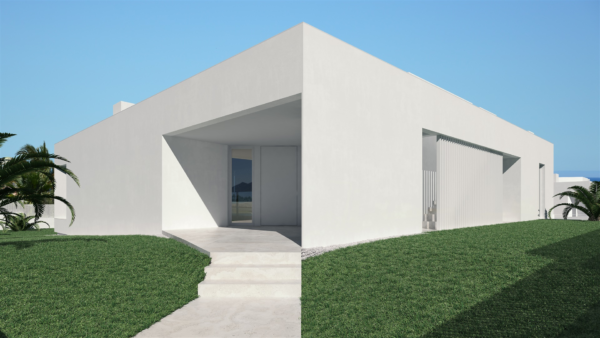 The villa will be composed on the ground floor with generous storage areas with space for a gym or possibly another bedroom, fully fitted laundry areas and separate garages able to accommodate at least 3 cars. The first floor will comprise a living and dining area with an open plan fully fitted ultra-modern kitchen with fitted appliances, three double bedrooms with fitted wardrobes and en-suite bathrooms and a guest’s toilet. From this level all rooms will boast stunning views of the sea. 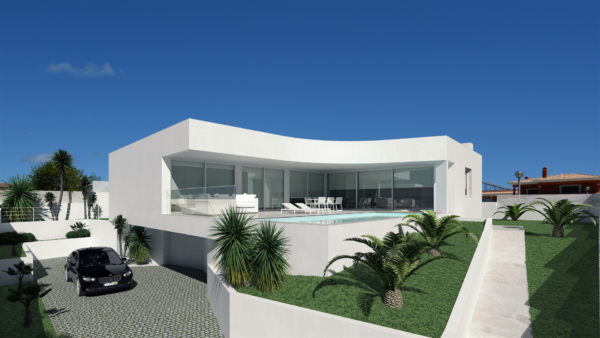 This villa will have a very high specification such as solar panels, security cameras, under-floor heating, air-conditioning throughout and a roof terrace with magnificent views of the ocean.